OMG! The holiday season is finally over, I have recovered from the flu and Christmas has been packed away for another year. I’m ready to get back to “normal” – whatever that is. Over the last couple of weeks, I have been mulling over my 2010 year – it was a fairly interesting year. And, it was supposed to be the year that I figured out what the @#&* I’m supposed to be doing with my life. Let’s review! In my quest for personal growth, I started painting lessons. I did put them on hold as I felt that I wasn’t on the same page as the instructor. 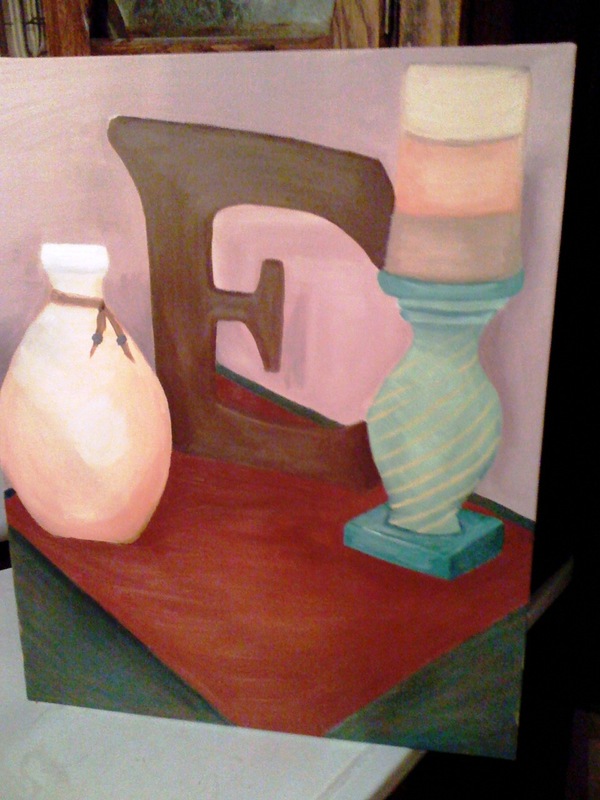 My intention was to keep painting at home – which I did (sorta)….. there is a half-painted picture in my office right now. 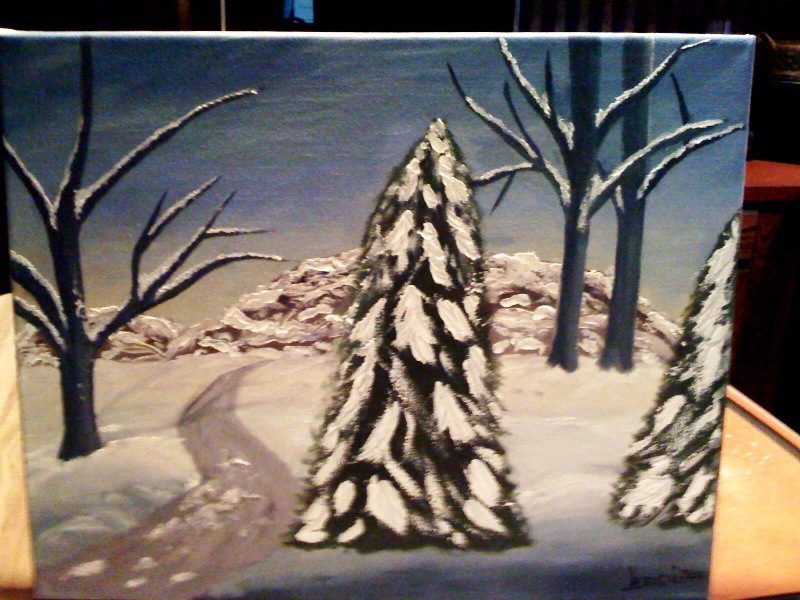 2011 RESOLUTION: To revive my painting hobby because I really did like it. Having some free time would help. I started a blog in March of 2010. I’m not sure what really triggered the need to have an online diary of sorts – do people really care what I think? Who knows? But, I’ve got one and I like it! Sometimes it really does help to put thoughts in writing. Also, I have encountered a whole other world out there – I’ve “met” quite a few interesting and clever people. 2011 RESOLUTION: To be a better blogger. What do I mean by that? Well, be more consistent in posting and be relevant and interesting. (Whoa! Being consistently interesting is a lofty goal – how about moderately interesting?). Spring Break 2010 will go down in history as one of the craziest vacations for the Engledow family. This is the trip where we learned that bed bugs are real AND really disgusting!! 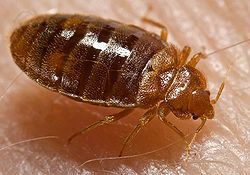 In case you missed it, you can read all about it – “Don’t Let the Bedbugs Bite!” & Other Sayings. 2011 RESOLUTION: NEVER, NEVER to encounter another bed bug EVER! My oldest daughter, Rachel, turned 16 (I seriously have a 16-yr-old??) and got her driver’s license (on my birthday!) – Holy Sh!t! That was stressful. I am getting used to it now – she helps me with various errands AND taxi duty (for herself and her siblings) – the taxi duty help has been awesome. It’s funny because when this all started last February I thought it would have taken me longer to get to the comfort zone with her driving. This winter has been a struggle, but we are getting through it. She is a very conscientious kid and a good driver. I turned 45 in 2010. That was a hard birthday – waaaay harder than turning 40. I’m not sure why, but I do know it had something to do with my quest for personal growth a.k.a. “What the hell am I really doing here other than taking up space?” quest. 2011 RESOLUTION: Age is just a number – I still feel like a 20-something and will act like it whenever possible! A friend of mine will be doing a sprint triathlon (biking, swimming & running) this June 2011. She was a little wary of the swimming so I volunteered to do the swimming training with her (what was I thinking??). We have been swimming since September (I think) and it has been great! Swimming is a great exercise and I hope we keep it up past her triathlon. This training has motivated me to exercise more which is good for this old broad! 2011 RESOLUTION: To continue swimming and to push myself to continue exercising. I had a weird food reaction this year – don’t worry, it’s not a gross story. The story involves pine nuts which I have eaten all my adult life until this past October 2010. You can read about it in two posts: “Doc, I’ve Got What?” and “Shut Your Pine Mouth”. I haven’t had a pine nut since October. I recently made a pesto sauce for dinner and used macadamia nuts instead – it tasted wonderful and my taste buds are still intact. I have to say that this food thing was the weirdest thing (after the bed bugs) that happened to me this year. 2011 RESOLUTIONS: I will NOT eat pine nuts ever again! Yes, I’m 45 years old and had NEVER cooked a turkey until this past Thanksgiving! It was quite a milestone and learning opportunity for me. I was actually really excited to try it – a new adventure in cooking! Thanksgiving 2010 went well and the turkeys (I cooked 2!) were really tender and tasty (can I say that about my own turkeys?). 2011 RESOLUTION: Continue with new cooking adventures. The Engledow family grew in 2010. You can read about it in “It’s Raining Cats and Dogs (and Birds, Rats, etc)”. 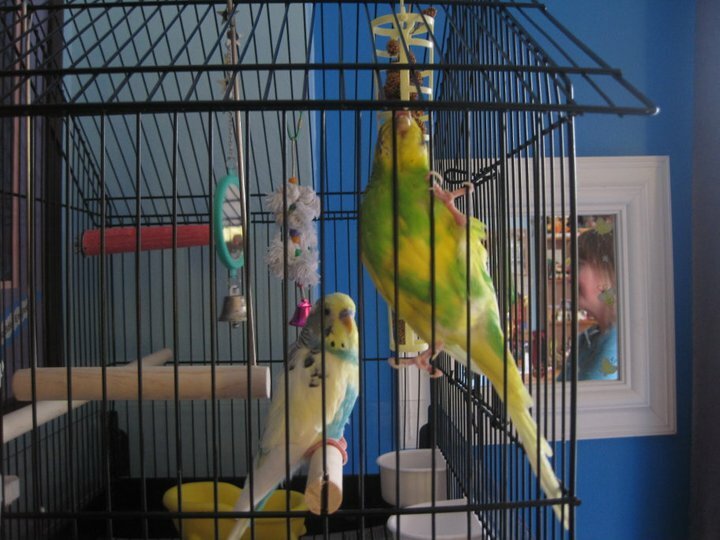 We added two parakeets and a rat in November and December. 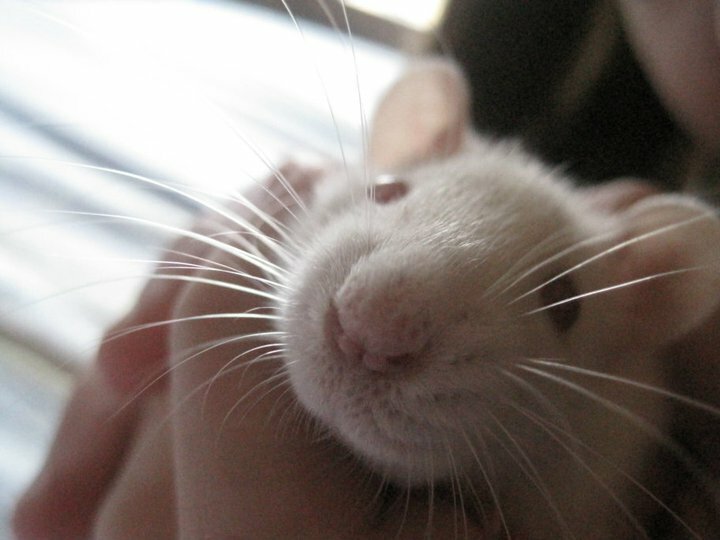 We have an update: Our sweet boy, Jack, had to give away Marshmallow (the rat) this week. It turned out that he was allergic to Marshmallow. Weird, right? Apparently, it’s not that uncommon and it’s an allergic reaction to the rat’s urine (eeeew!). He didn’t show symptoms in class because they cleaned the rats’ cages every day – he cleaned Marshmallow’s cage once a week at home. I am very sad for my boy. He was so excited to have Marshmallow. We gave her to a friend of ours on Monday and he can see her whenever he wants. BUT, the good news is we still have Jahmal and Dexter! I’m looking forward to 2011 to see what it has in store for me! Hopefully, my purpose will be revealed in 2011 🙂 In the meantime, I will be here cooking, painting, blogging, swimming, parenting, going suburban-housewife crazy, and ???? This entry was posted in Personal Musings and tagged 2010, new years resolutions, personal growth, resolutions, year in review. Bookmark the permalink. ← Oh, The Holidays Are Upon Us! Hopefully my purpose will be revealed in 2011, too! 🙂 And I’m with you on blogging resolutions for the coming year — I’m really hoping to become moderately interesting on a consistent basis. Hasn’t happened to me yet, but there are still 11 months left! I think you are very interesting and insightful! I swear the term mid-life crisis is overused, but I feel like that’s what I’m having (about 3 years now). I’m hoping that once I find my purpose, my “crisis” will be over!